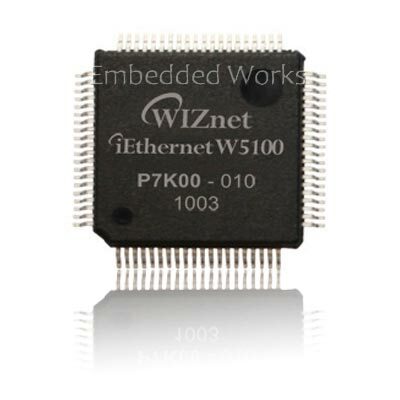 The W5100 is a full-featured, single-chip Internet-enabled 10/100 Ethernet controller. Designed for embedded applications, Wiznet's W5100 is a fully hardwired TCP/IP chip and integrated Eithernet MAC & PHY. W5100 has an Internet-enabled 10/100 Ethernet Controller and is IEEE 802.3 BASE-T and 802.3U 100 BASE-TX compliant which makes internet connectivity easy and does not require an OS.